I don’t remember what led to the first incident but I do vaguely remember “P” throwing an iron my direction. It missed or perhaps he intentionally missed seeing as I did physically still resemble the female who had years before hit him with a car. Nothing serious; just a low speed tap to demonstrate my apathy with regards to his safety and well-being. Maybe that memory was there but it didn’t remain long as the thrown iron was followed by shoving me into the bedframe, the TV stand knocking it down, and then managing to pin me to the ground with his hands around my neck. With this first instance I didn’t see myself as a victim. I still don’t because I acknowledge the part I played in allowing “P” to treat me as he would in time. The harder thing was trying to do the right thing and suppress my own violent tendencies. I thankfully put down the chair I was poised to hit him with. Yet when the police arrived I was told it appeared I was the aggressor due to him bleeding from where I scratched him while he was choking me. I made him leave but ended up taking him back primarily because I had no intention of being a single mom especially when I didn’t even want to have the child. Also in trying to do the right thing by a higher power it meant not abandoning the marriage at the first sign of trouble. Over time the abuse became more verbal, psychological and emotional. This combined with my own pre-existing issues with depression made me feel increasingly trapped and alone. Why I finally left is the last instance of physical violence which left me with a fractured wrist, a blown eardrum, body covered in bruises, lacerations inside of my mouth and having been sexually assaulted. Domestic violence is a solvable issue that has to share a month with breast cancer and is often overshadowed due to that fact. That needs to change. Women shouldn’t have to get to the point I got to in my past situation before realizing it’s time to go. There’s a private shame that often accompanies domestic violence that prevents one from speaking up and seeking help. Also the issue is rarely covered unless there happens to be a high profile case that takes over the news for a time. We all need to work towards not only raising awareness, as was done with the hashtags #WhyIStayed and #WhyILeft, but also to addressing the underlying issues that lead to abuse, which are often a combination of psychological and environmental. We need to support the local agencies, often not-for-profit that help domestic violence survivors. The local agency I support is Hubbard House. Find your local agency and help out. 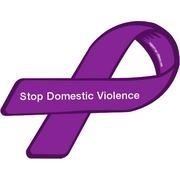 Let’s End the Cycle of Violence! So as a followup to an earlier post courtesy of Himalee Abeya, I needed to talk about this case happening in Florida. Yes surprise, surprise some more craziness from the Sunshine State. Click on the link below for the background info. Woman Arrested in Beached Minivan Case. So this pregnant woman, a victim of domestic violence which speaking from personal experience is traumatic in and of itself, who attempted to take her own life in addition to her children is now sitting in a jail cell still not receiving the mental healthcare she obviously and desperately needs. What is more they arrested her at the mental healthcare facility. The article I linked to above says that she had no history of mental illness. In a country that still has such stigma attached to mental health issues and coming from a culture/community that is not prone to openly discussing mental health issues, that isn’t surprising. However her family had attempted to get her help but unfortunately she wasn’t Baker-acted before the incident which now has her potentially looking at spending the rest of her natural life behind bars. People who are suffering from anxiety, nerves, stress and depression can often feel as if they are on their own, and that no one understands the difficulties they are experiencing. In addition, even for those who do understand that they have depression, it can be extremely difficult to reach out and access the help they need. Sadly, there is still a stigma attached to this disease. This article looks at the signs and symptoms of depression to help you understand the nature of this debilitating disorder. No one needs to suffer in silence. Help is available and with support and the right treatment, it is possible to live a healthy, happy and positive life. Left untreated, depression can have a serious effect on every aspect of a person’s health. Their physical and psychological well-being can both be affected by depression. Physically, symptoms like tiredness, lack of appetite or sexual libido, or even increased appetite at odd times, or binge eating can be a sign of depression. Weight loss, or gain, can also be a sign that your body is under a great deal of emotional stress. Psychologically, depression sufferers have feelings of worthlessness, fear, frustration, anger and a whole host of other negative emotions. In extreme cases, individuals question whether they should be alive and consider suicide. The best way to identify whether you are depressed is to have a consultation with a qualified psychiatrist or psychotherapist. They will be able to correctly diagnose your condition and recommend a course of treatments for you. Treatments vary depending upon the severity and type of depression. For milder cases, sometimes therapy and counselling is sufficient. However in serious cases like bipolar disorder treatment, a combination of therapies, counselling and prescription medication will be required. Strong feelings of sadness, anxiety and stress are all symptoms of depression. And this is one of the reasons why it has been so misunderstood for so many years. In the past, and even now in some cases, a person suffering from these symptoms would be told to ‘cheer up’, or ‘be positive’. The problem is, when you are in the depths of a depressive state, it can be impossible to shake the feeling of gloom that surrounds you. That is why it is so important that sufferers of depression have access to the right care and treatment. For many this will involve a series of appointments with a psychiatrist who will work with the patient to talk through emotional problems and identify ways of coping with and addressing problems. Patients can attend their weekly sessions and then carry on with life as normal. As the course of therapy sessions continues, the Psychiatrist will goes through various discussions and exercises to help their patient move toward a happier frame of mind. Patients who require medical prescriptions will be properly diagnosed. If additional therapies like physical therapies are required, they can be arranged too. If you have depression, do not suffer alone. Get the help you need to get your life back without delay.